Weidner is excited to present the Lead Start Program, an interactive training program that introduces new employees to their support teams at the corporate office and helps them acclimate to the exciting multifamily industry. Company founder and CEO, Dean Weidner introduced the Lead Start program almost a decade ago. Since its inception, it has evolved from a 3-day training to a 5-day program. New associates are flown in from all over the U.S. and Canada to Weidner headquarters in Kirkland, WA, where mentors in the industry pool their talents and experience to create a truly inspiring week of training. 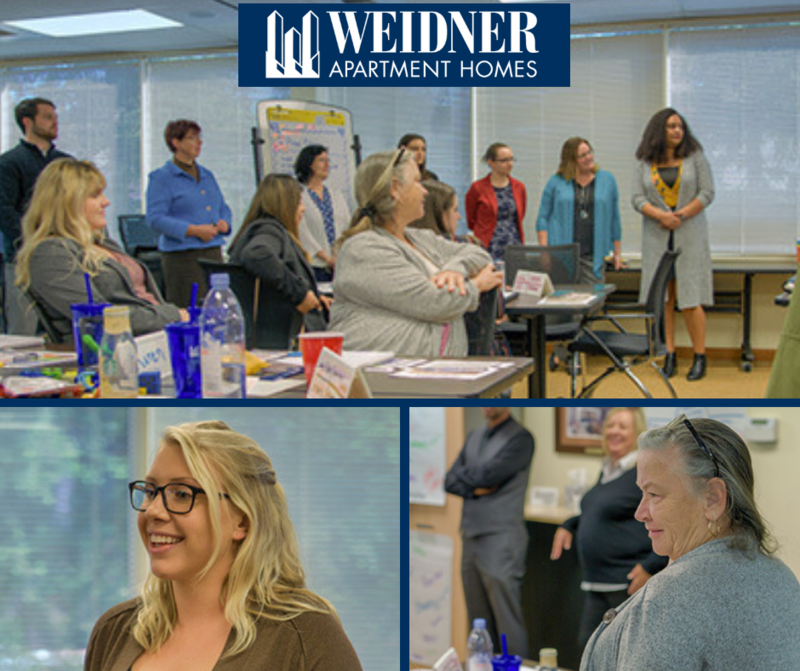 During the training, new associates engage in specific training such as selling skills, marketing, leadership, and understanding Weidners core values. Through teamwork exercises, activity base-training, culture, and software training, new associates get a full view of whats expected in their new position and where to find support when they need it. In the inclusive, family environment, associates have the opportunity to bond with their fellow teammates, learn from each other, and build relationships with colleagues across the country. New employees are then given a tour of the flagship property, Tower 12. This is followed by a graduation ceremony and more celebrations! Mr. Weidner rarely misses an opportunity to come and speak to the group during the Lead Start training and opens the discussion up with a question and answer session where no question is off the table! When he created the Lead Start program, his main objective was for Weidner employees to think, act and analyze, and make decisions as if they were in charge of the whole business and act as if they own the property. Through the Lead Start training, new associates not only get a lead start in their Weidner Career, but the best start in the ever-changing, rewarding career of multifamily. Welcome to the team! What Matters to You, Matters to Us!